Zucchini People Games – Zucchinis. And Games. No Actual Zucchinis. Game design and publishing in upstate NY. All game components and assets were locally-sourced, except where they weren't. 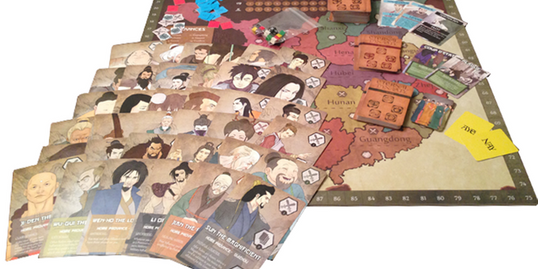 Players take on the role of feuding clans and will fight over control of the 18 provinces of ancient China. As the Generations progress, players will be able to adjust their plans on the fly or continue reinforcing their current strategies as they change to a new Ruler. Hero Brigade is a fast-paced heroic card game for 1-2 players that features elements of deck-building and positional card-battling. Take on the role of the Heroes or the Villains and prepare to throw down! 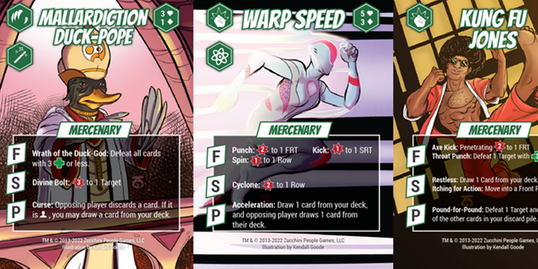 Each character card can be played in three different ways (deployed to your Party's Front Row, deployed to your Support Row, or used for a one-time game effect). 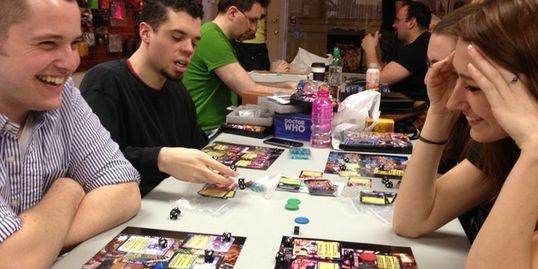 Hero Brigade also offers unique twists on conventional deck-building mechanisms. Drawing extra cards and eliminating your starting cards can hurt you in the long term as you permanently lose cards from your deck each time you reshuffle and each time one of your characters is defeated. Running out of cards loses you the game! SHARPEN YOUR SWORDS. READY YOUR SPELLS. GATHER YOUR ALLIES. The ruthless Queen Domianne rules the kingdom of Astelia with an iron fist, but an ancient prophecy has emerged which threatens her reign. The adventure starts in your humble village and eventually leads to the seat of Domianne's power, the peerless and ancient Tower of Greylock. 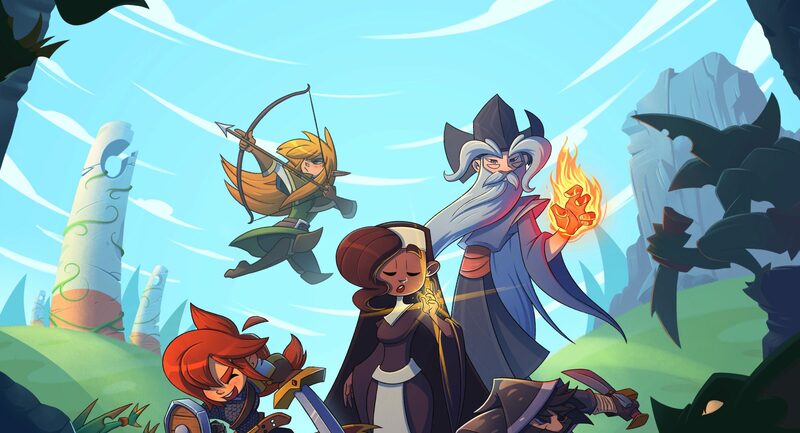 Adventure Tactics: Domianne's Tower is an encounter-based, campaign-driven, cooperative deck-builder. Begin your journey as one of 5 Basic Classes and battle your way through a branching campaign where you choose your own path in an attempt to overthrow the evil Queen Domianne. With each encounter, you will level up and unlock over 15 Elite Classes, adding new actions, equipment, and abilities. Will your team find the right combination of Classes and powers in time to stop Queen Domianne? Let the adventure begin! Coming to Kickstarter Q2 2019! Zucchini People Games, LLC is a one-man band (Nicholas Yu) located in upstate New York. He is able to design and publish board games with the help and support of his family and friends.